I’ve been back in the UK since the beginning of the month and have quite a lot to add to the blog that I now have the time to begin. In the course of visiting some members of my scattered family I have travelled from North Wales to Bristol via Leicester and back again and had a mix of weather – a typical British summer really and for me, much easier to cope with than the intense heat that Spain is experiencing now. Since arriving, my first impressions have been of how beautiful and abundant the summer flowers are this year, both in gardens and in the wild and was surprised by how early some trees and plants are producing ripe fruit, particularly Rowan trees in both Leicester and Bristol that were laden with berries and, also in Bristol, lots of ripe blackberries. 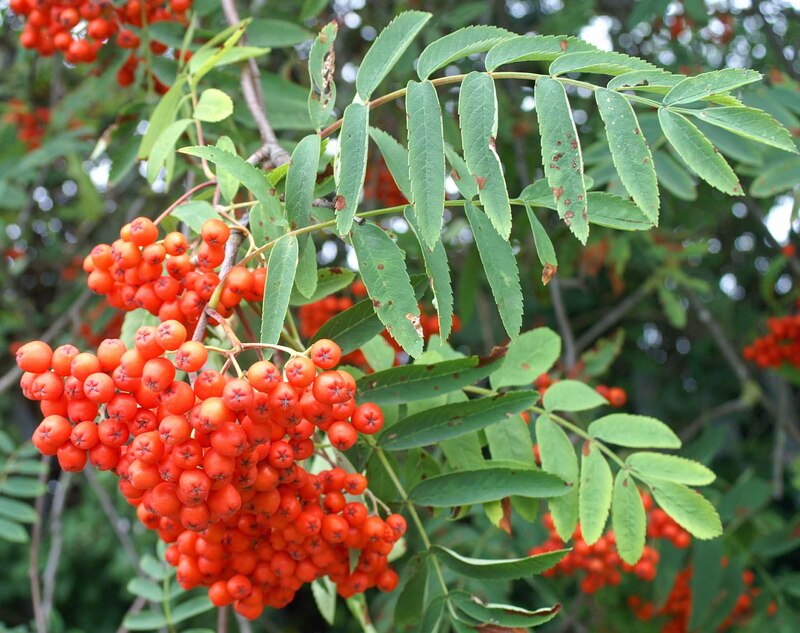 I’ve already got quite a lot to share, but I thought I’d get going with a bit about the Rowan Tree. The Rowan tree has been one of my favourite trees since I was very young, having all the qualities I could wish for from a tree; in a garden it looks good all year round, it doesn’t get too big, keeps a good shape, has attractive green ash-type leaves that take on lovely autumn colours and creamy blossoms, but it comes into its own in the late summer -early autumn when it is laden with bright orange-red berries that birds love. It also has some fascinating mythology attached to it, and had at least one song written about it, what more could you possibly want? Blackbirds were also feeding avidly and very frequently, but the only other bird I saw taking an interest was a young Chaffinch. 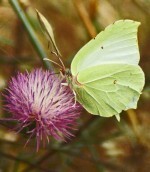 Rowan is also used as a food plant by the larvae of some Lepidoptera species. 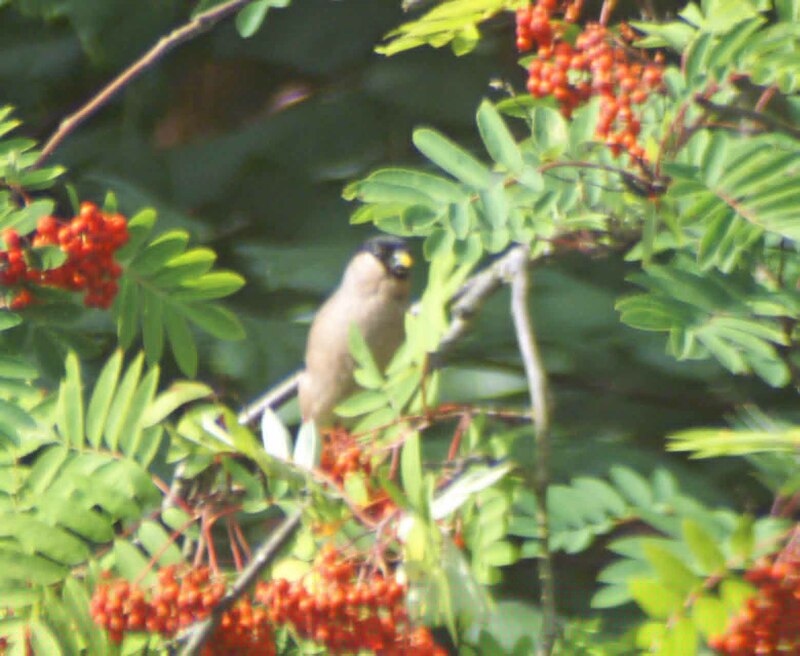 Traditionally the berries from the Rowan were processed for jams, pies, and bittersweet wines. 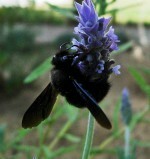 It was also made into a tea to treat urinary tract problems, haemorhoids and diarrhea. The fresh juice of the berries is a mild laxative, and helps to soothe inflammed mucous membranes as a gargle. Containing high concentrations of Vitamin C, the berries were also ingested to cure scurvy – a Vitamin C deficiency disease. Even today, one of the sugars in the fruit is sometimes given intravenously to reduce pressure in an eyeball with glaucoma. Caution : Do not eat raw berries! Caution, however, must be taken when using the berries. They are reported to contain a cancer-causing compound, parasorbic acid. The poisonous elements are neutralized by cooking the berries though. The European rowan (S. aucuparia) has a long tradition in European mythology and folklore. It was thought to be a magical tree and protection against malevolent beings. 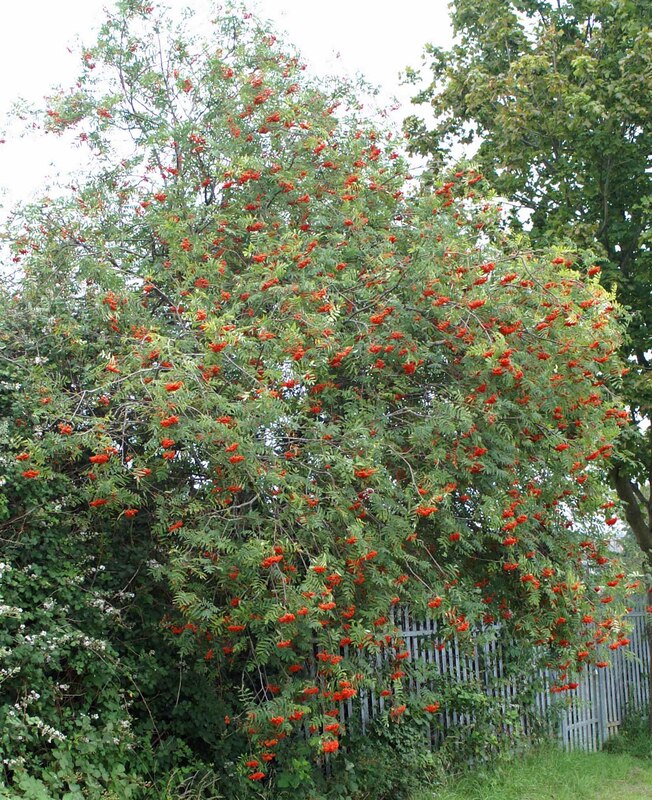 In Celtic mythology the rowan is called the Traveller’s Tree because it prevents those on a journey from getting lost. Rowan was used in all protection spells particularly from fire, or lightning. In Ireland it was hung in the house to prevent fire charming, hung around the necks of hounds to increase their speed, and used to keep the dead from rising. It also had the power to protect people and animals from evil spirits. The IrishDruids held it in particular esteem, for its physical healing as well as its magical properties. 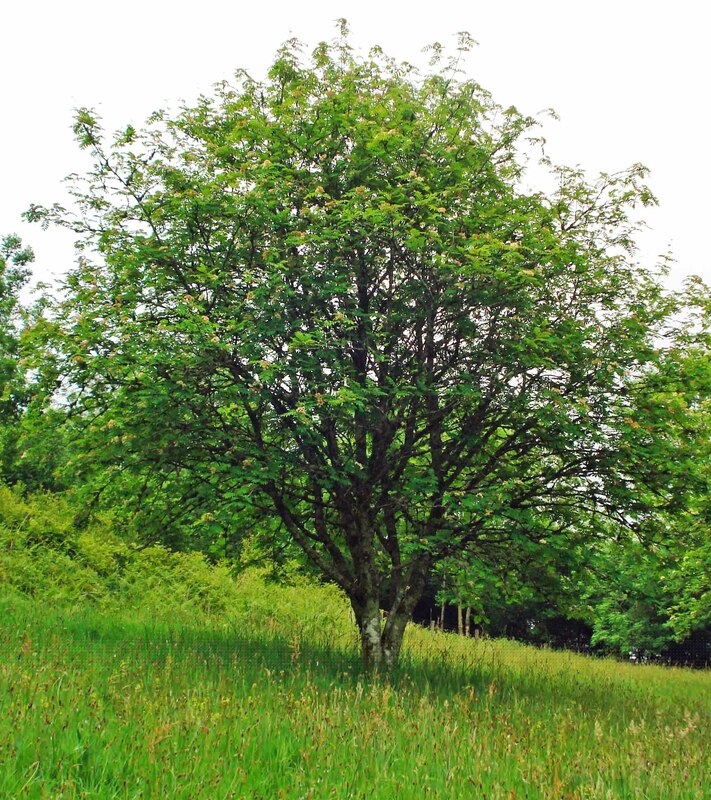 The density of the rowan wood made it very usable for walking sticks and magician’s staves. Druid staffs have traditionally been made out of rowan wood, and its branches were often used in dowsing rods and magic wands. Rowan was carried on sea-going vessels to avoid storms, kept in houses to guard against lightning, and even planted on graves to keep the deceased from haunting. It was also used to protect one from witches. And here’s the song, with music so you can sing along…..
Entwin’d thou art wi’ mony ties, o’ hame and infancy. There was nae sic a bonnie tree, in all the country side. How fair wert thou in simmer time, wi’ all thy clusters white. On thy fair stem were mony names which now nae mair I see. But there engraven on my heart, forgot they ne’er can be. They pu’d thy bonnie berries red and necklaces they strang. Wi’ little Jeannie on her lap, wi’ Jamie at her knee. 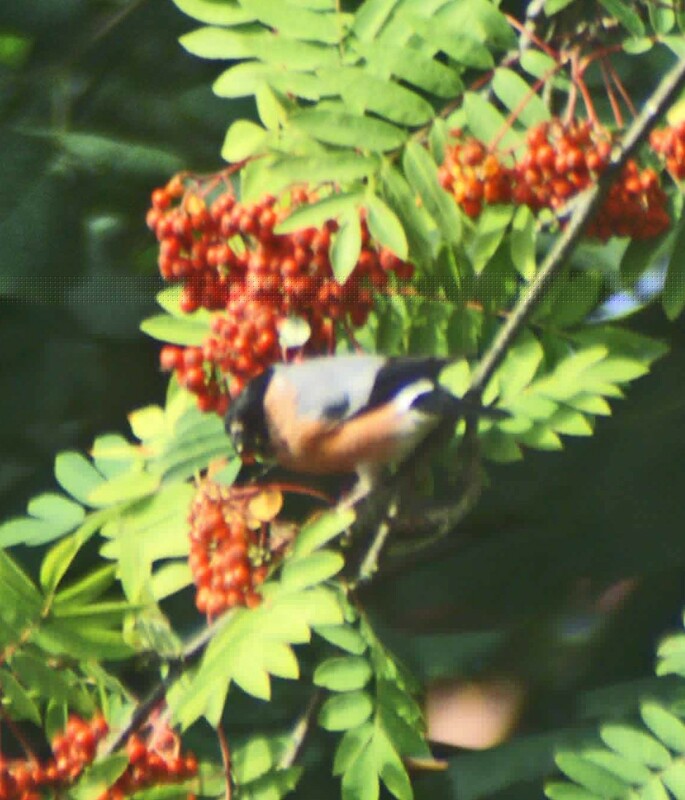 This entry was posted in Nature and tagged Bullfinch, red berries, rowan tree, rowan tree berries, rowan tree folklore & mythology, rowan tree poem, rowan tree traditional song, sorbus aucuparia. Bookmark the permalink.